Grew up…as the crown prince of the Fire Nation. Zuko wanted nothing more than to impress his father and be a good ruler. But when he spoke up against his father to protest the unnecessary death of Fire Nation soldiers, everything went south. His father, Ozai, made him duel with him, and Zuko’s face was horribly scarred. Then he was exiled, until he could find the Avatar and bring him to Ozai. Living… on the road. Accompanied by his uncle Iroh, and a lot of soldiers, Zuko roams the world trying to find the Avatar. The Avatar is the world’s peacekeeper, possessing the elemental powers of fire, water, air, and earth. 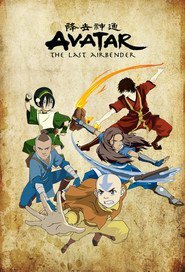 Ozai has plans to expand the Fire Nation’s empire, and the Avatar is the only one who could stop him – so Zuko has to find the Avatar and prevent him from doing so. Profession… exiled crown prince, and firebender. Zuko can channel flame into amazing attacks through his mastery of the martial arts. It’s a skill he’s relying on to help him defeat the Avatar. Interests… regaining his honor. He was disgraced in front of his father, in front of the whole court. The only way to get it back is to capture the Avatar. Relationship Status… single. Relationships are not his biggest concern right now. The only person he’s even remotely civil to is his uncle. Challenge…finding the Avatar. Zuko just wants to be accepted by his father. But he’s struggling with a lot of anger – and it doesn’t help that he’s reminded every time he looks in a mirror and sees his scars. Ultimately, he might have to choose whether it’s worth trying to reconcile with his stern father, or whether he should pave his own way. Personality… angry, sullen, and passionate. Zuko’s just a teenager, but he’s had a lot of pressure put on him, and now he’s prone to lashing out. He doesn’t want to connect to anyone, since everyone he’s cared about has turned on him. He’s obsessed with regaining his honor, which means that unlike other Fire Nation soldiers, he wants to do things the right way. Prince Zuko 's popularity ranking on CharacTour is #689 out of 5,000+ characters. See our top-ranked characters and read their profiles.